Looking for the best 380 pistols out there? While it is a small cartridge, the .380 Automatic Colt Pistol (ACP) is a very popular handgun cartridge. It has been around for over a century and is used primarily for self-defense. The popularity comes largely from its small size. Pistols that are chambered in .380 are often very small making them very popular for concealed carry. The .380 projectiles are the same diameter as a standard 9mm round. However, the difference between the two comes in the weight of the bullet. The 9mm bullets weigh at least 20 grains more than .380 bullets. In terms of ballistics, .380 rounds are fired at a high muzzle velocity due to their light weight. In terms of deadliness, .380 does not perform as well as 9mm. It will not penetrate as deep and has less overall energy. If that is your main concern, check out awesome 9mm pistols. In comparison, .380 weapons are much easier to conceal. Personally, I carry a .380 pistol in the summer months because I can carry my .380 in my pocket. While everyone is wearing less clothing, I feel comfortable with a .380 in my pocket. Given that you are looking for one of the best .380 pistols, there is a good chance you are looking for a concealed carry pistol. 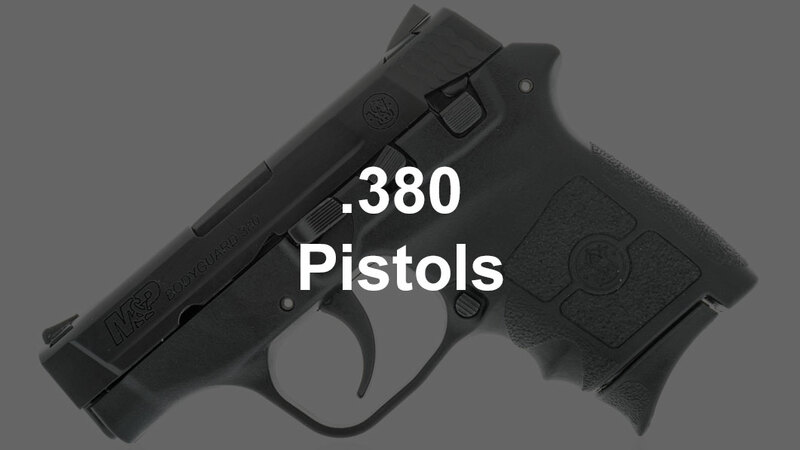 For that reason, this list will be focused primarily on the best 380 pocket pistols. The Smith & Wesson M&P Bodyguard weapons are some of the most common concealed carry weapons. For this specific use, they are an excellent option. The Bodyguard in .380 measures 5.3 inches long, weighs 12 ounces and has a 6-round magazine capacity. The pros of this weapon include the thumb safety, the grip, and the lifetime service policy. The thumb safety is an awesome feature. Many of these pocket pistols do not have a thumb safety, which is an issue for many users. This weapon’s grip is great for a pocket pistol. It is relatively ergonomic. The extended magazine makes it better for gripping. The pistol is also available with or without a built-in laser. This will make your target acquisition much faster which is helpful for a concealed carry pistol. There really are not any significant cons of this weapon. It is the best 380 pistol for concealed carry. Many people will be surprised to see a Taurus this high on our list. However, as far as pocket pistols are concerned, the TCP is a reliable weapon as has been noted by other users. You can expect this gun to outlast many other pocket pistols. It is also available at unbeatable prices. The gun measures less than 5 inches long, weighs 10.2 ounces, and has a 6-round capacity. The pros of this weapon are the reliability and the price. The cons of this weapon are the lack of a safety, a gritty trigger, and the low profile sights. The weapon has no safety whatsoever. This is definitely something that needs to be noticed. As far as the sights and the gritty trigger, most people are not buying this weapon to be a fun range gun. This weapon functions well repeatedly. It is meant to be carried in your pocket for self-defense. The PK380 is the most enjoyable weapon to shoot on this list. Most pocket pistols are not enjoyable to shoot. They are generally less accurate and have a fair amount of recoil. This makes it more difficult to control due to their small grips. The PK380 is a nice change of pace. This weapon is larger—measuring 6.5 inches long and weighing 18 ounces. It has an eight-round capacity. The pros of this weapon are the grip, the slide, and the thumb safety. Walther is well known for making comfortable, ergonomic grips The PK380 is no different. It fits in your hand naturally especially if you have smaller hands. The slide is easy to pull back. These two features combined lead Walther to market this weapon towards women. Regardless of how you look at it, this is a nice weapon to shoot. The cons of this weapon are limited mostly to the size, if you are looking for a concealed carry weapon. This is still an easy weapon to conceal. It just may not fit in your pocket as well as some of the others on the list. No list of pistols is complete without the Glock. The Glock 42 is Glock’s .380 pocket pistol offering. It measures 5.94 inches long, weighs 13.76 ounces, and has a 6-round capacity. The biggest pros of this weapon are its reliability, sights, and ease with which you can take it down. All of these are common in Glock firearms. They are notoriously reliable and work regardless of the weapon’s condition. The sights are extremely easy to use. Most people find them to be enjoyable. 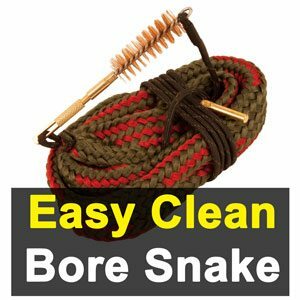 It is also an extremely easy weapon to take apart and clean. It has a trigger safety. The cons of this weapon are the price and the size. This is not a large weapon, but it is larger than some others listed here. Because of the added size, the weapon fits your hand better. However, if you are looking for a pocket pistol, it will be slightly harder to conceal. The Remington RM380 is another tiny pocket pistol. However, this one is much more enjoyable to shoot than some other pistols on the list. This pistol measures 5.27 inches long, weighs 12.2 ounces and has a 6-round capacity. The pros of this weapon are how it shoots, the slide stop, and the grip. For a small pistol, this weapon fires and handles well. Due to the smoother trigger and improved grip, this pistol fires much better than most of its competition. It is also an excellent size. The cons of this weapon are the price and the lack of a safety. Its closest competition is the Taurus TCP. The Taurus TCS is less expensive and more reliable. Honorable Mention: Kimber 1911 Micro and Sig Sauer P238. Both of these are mini 1911s and come with all the pros and cons of a 1911-frame weapon.